Wouldn’t it be great if every social media post or online review written about your senior living community wasn’t just complimentary, but heaped mountains of praise for exceptional service, superb personal attention, unparalleled quality and an unmatched level of care? While we believe our communities are often worthy of these accolades, the reality is that someone, whether that be a current resident, family member of a resident, prospect, or possibly a disgruntled former employee, may not agree with the perceptions we have of our community, service and staff. If fact, some individuals may feel so wronged, real or otherwise, by the community that they go to online reviews and social media to voice their displeasure and take a very public swipe at the community. Turn negative comments into a positive. For example, if a reviewer claims the food at the community dining venue was awful, respond by thanking them for the feedback and respond that the community will use that feedback to help improve the goal of excellence in all food services areas or highlight a change that might have occurred recently in offerings or quality. Show empathy with your response. Remember, you may be responding to a caregiver who is dealing with many challenges (financial, emotional, etc.) in their support of their family member at the community. Demonstrate your compassion, responsiveness and expertise in senior living. Take the conversation offline if the reviewer continues to post negative comments even after two repeated attempts by you to diffuse the issue. Provide a phone number or email address so the situation can be resolved with a private exchange. Remember that you might not be able to change the opinion of the negative reviewer, but you might be positively influencing a host of prospective residents and their families with your actions. Reputation management is more than just damage control. It’s using a multitude of messaging from any number of sources, from your website, to your social media sites to your advertising to resident testimonials and reviews to positively shape the community’s brand essence. And like almost all other industries today, people trust what others are saying online about a service or product before they make a decision, especially one as important as where they’ll spend their retirement years. In addition to contributing to your community’s brand, fostering positive conversations and reviews helps to improve your overall digital marketing efforts. While only part of a larger puzzle, positive reviews are an increasingly important factor in search engine rankings. Provide a simple process for residents, family members or friends to leave a positive review by providing links to important senior living review sites and social media sites. Create a special webpage with icons of these review sites so visitors can go directly to your community’s profile and leave a review. Use both online and offline methods to promote the use of positive review sites such as emails to residents and family members, a mention at resident meetings, inserts in billing statements, and community flyers and handouts. Specifically target and encourage your resident ‘brand ambassadors’ to spread the good news about their experience with the community through social media and review sites. 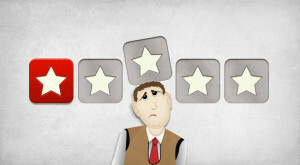 For any reviews 3-star or higher, post the reviews on your website for visitors to see. If you come across a really great review, reach out to this brand ambassador as they may be a perfect candidate for a testimonial about their positive interactions with the community. Monitor what’s been said about your community on social media and senior living review sites. Several sites and services are available to monitor for what’s being said about your community and provide real-time updates for a quick response if needed. Jeff Felton, Director of Marketing Services for Solutions Advisors, is a believer in a best defense is a good offense when it comes to the online conversation for a senior living community. Part of Solutions Advisors’ digital strategy is to create opportunities for as many positive reviews, social media posts, testimonials, anecdotal stories and videos as possible because we know online reviews influence prospective residents’ confidence in a community, thereby helping to narrow down their choices. Contact us to learn more about our digital strategies.